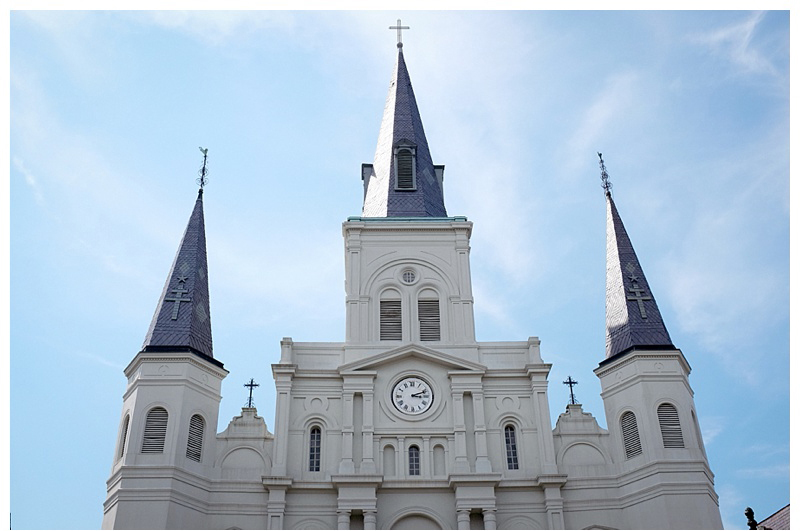 If the southern states are like a country separate from the rest of the US, then New Orleans is something different again. 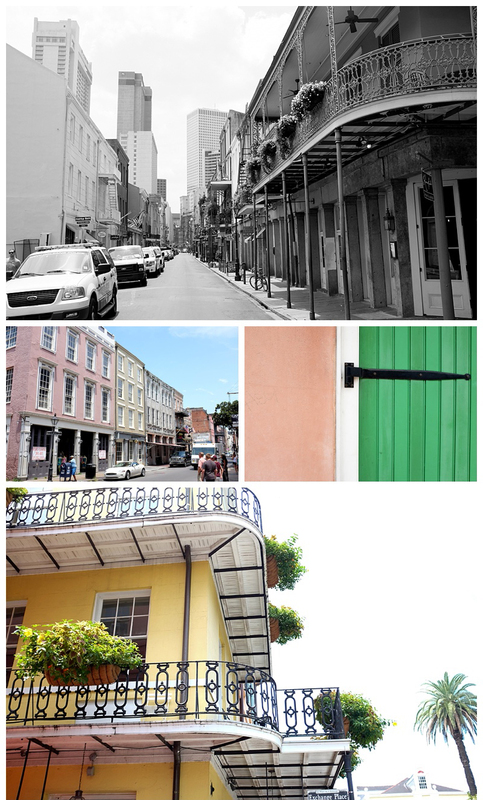 OK, the CBD is pretty non-descript (with the exception of the awesome Superdome, of which more later). 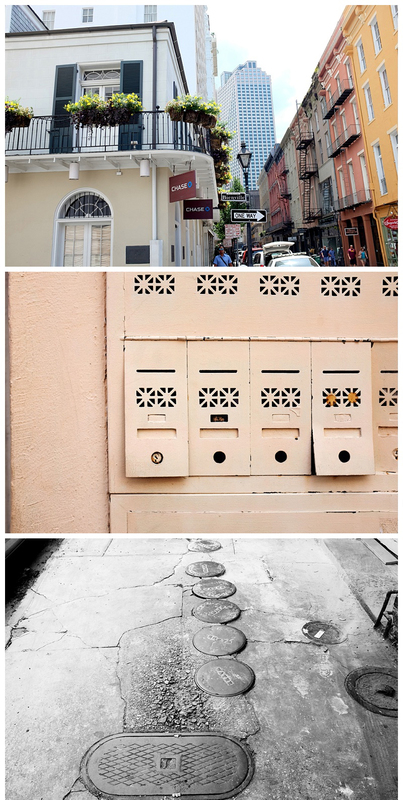 But just off the modern city centre sits the French Quarter, a historic few blocks of narrow cobbled streets straight out of old town Havana, or the southern Mediterranean. It is like stepping into another place and time. The sudden transformation from a 21st Century CBD to an old colonial French town is quite remarkable. A cathedral stands on a town square, close to a 18th Century marketplace, surrounded by buildings that have a unique character and colour about them. 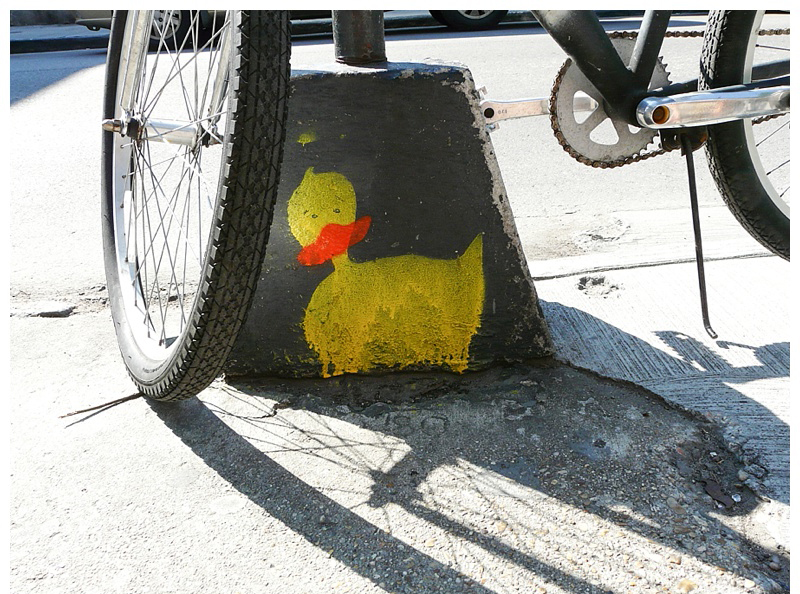 The narrow streets are vibrantly full of noise and activity, including music from street artists, or drifting from the windows of America’s oldest continually operating bar. 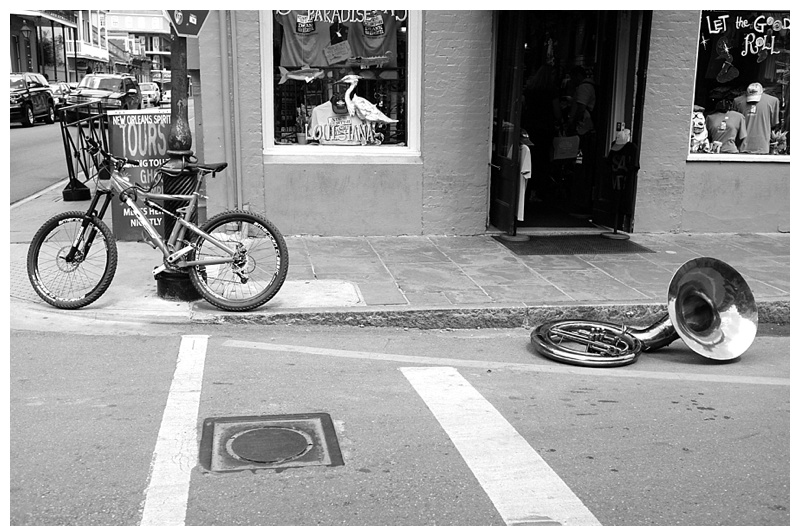 While exploring the French Quarter we actually stumbled across a dead body! 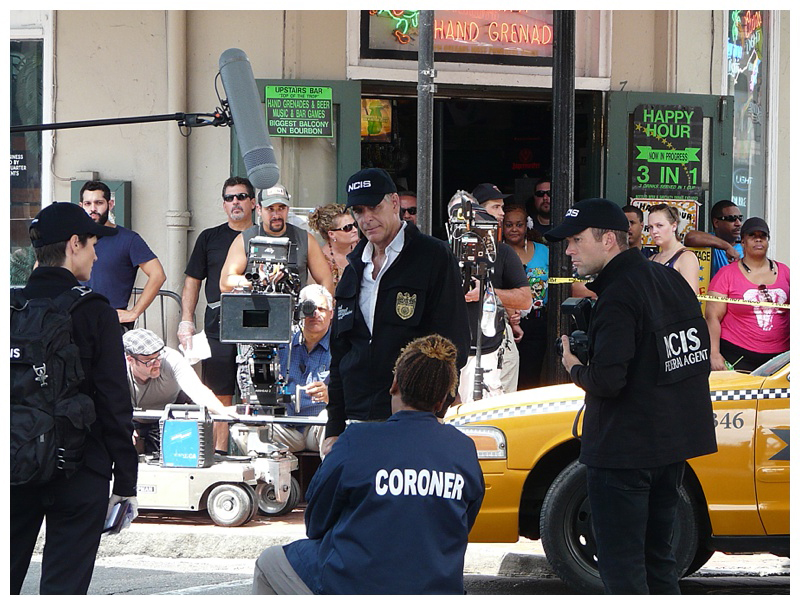 It looked like murder, the victim run over by a taxi… Federal Agents were all over the scene – turned out that they were filming latest expansion of the NCIS TV show, NCIS New Orleans, staring the guy who was in Quantum Leap and Star Trek… The way they are going it won’t be long before we get CSI Nuneaton… We had company in New Orleans, as we met up with some good friends of ours – who I will call ‘Hansel’ and ‘Gretel’ as they would prefer if I didn’t use their real names of Larissa and Kai – who had travelled over from Germany. 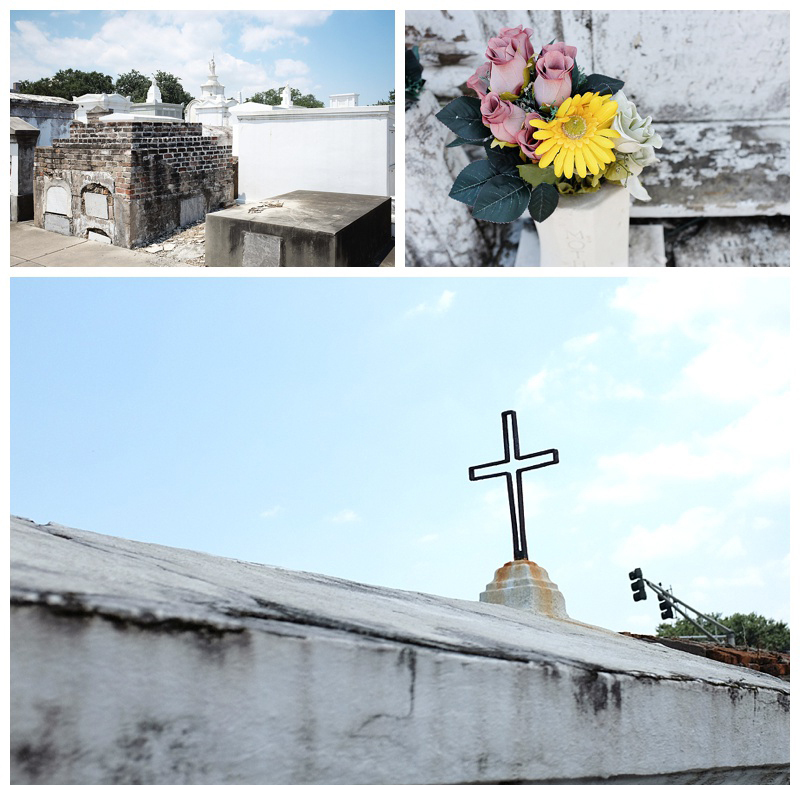 Just outside the French Quarter is one of the main old cemeteries of New Orleans where, because of the ever-present danger of flooding, bury the bodies above ground. Wandering around the crypts was quite an eerie experience…. 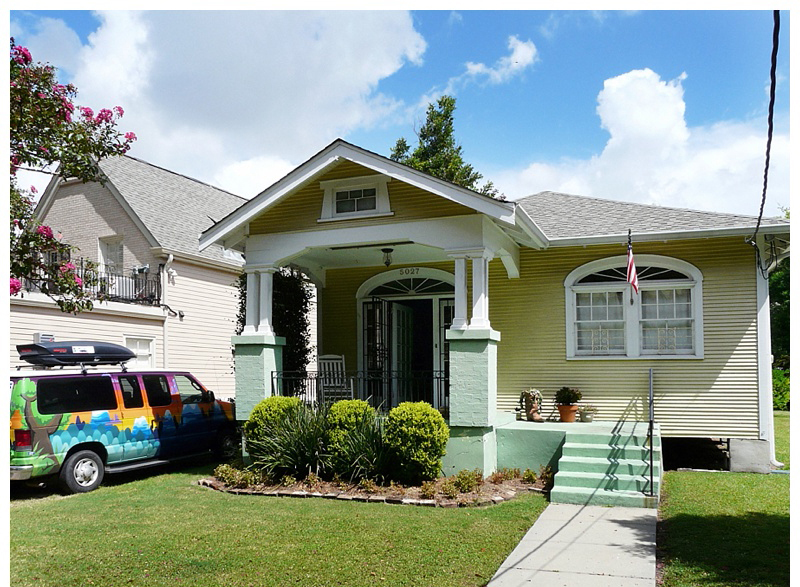 We stayed in a lovely neighbourhood just outside the city centre, an area that had been flooded by Katrina. We took one of the city’s two main tram routes which gently trundles past characterful weatherboard homes oozing Southern charm. I mentioned that the Louisiana Superdome (now named after a luxury German car brand) dominates the outskirts of the CBD. 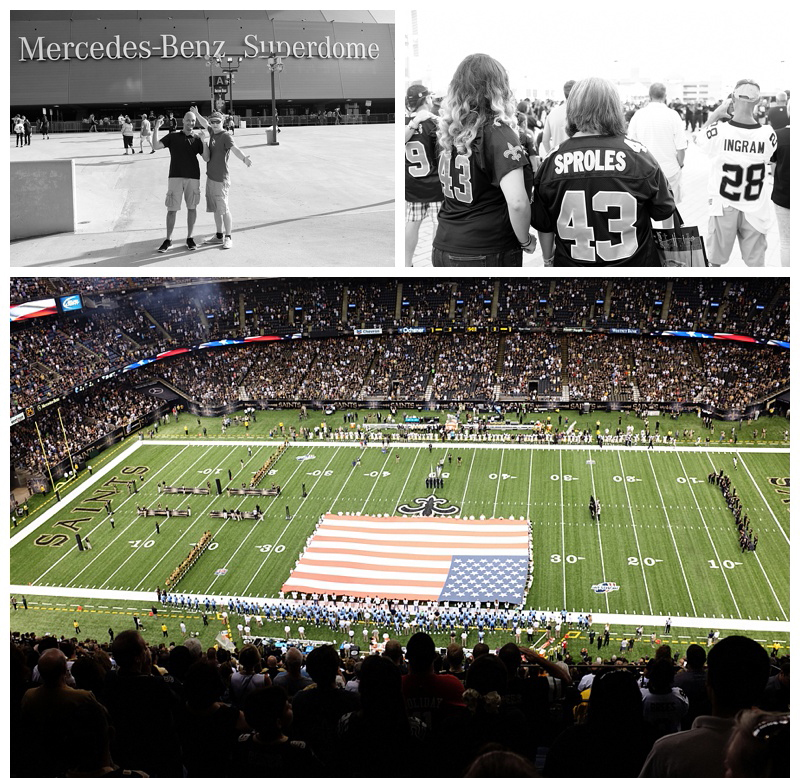 The Superdome was infamously used as a shelter for thousands of people during Hurricane Katrina, with many horrific stories – mostly exaggerated it seems – emanating from within. We managed to get tickets to watch the New Orleans Saints play their first home game of the NFL pre-season. The whole city was buzzing, and it seemed almost everybody had Saints gear on, even if they weren’t going to the game. It was a great experience to see the glitz and razzamatazz of American Football in such an imposing setting – though the girls thought the game went on about 2 hrs too long. 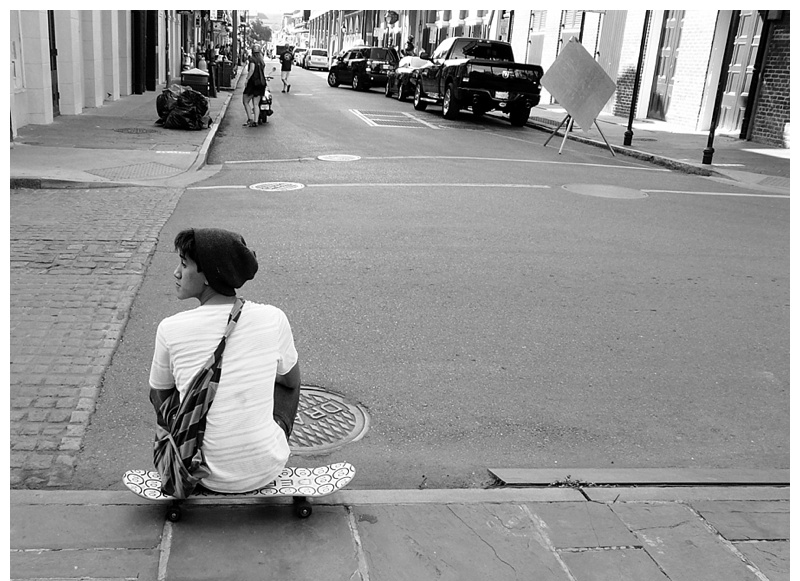 You can’t visit New Orleans and not take in live music, and so we spent one night visiting some venues down in Frenchman Street, listening to some upbeat jazz, and also a couple of guys with a more laid back, mellow vibe. The four of us took a day trip out of the city along the Mississippi to visit some of the grand old plantations, many of which are still working sugar cane farms. 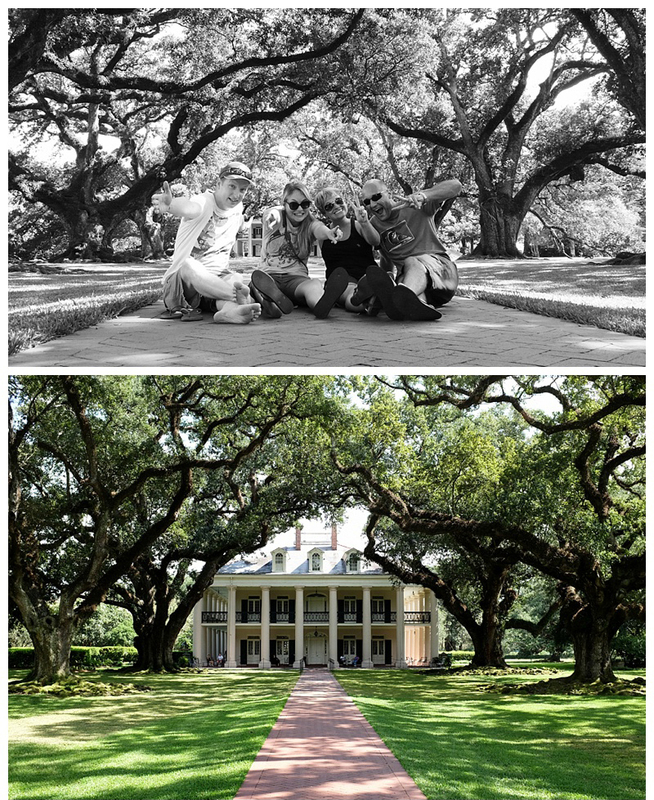 We toured Oak Alley Plantation, so called because an avenue of huge trees run from the riverfront to the house, making the quintessential photo op of a Southern colonial mansion. The site also had an informative display of the old slave quarters, and did not shy away from this dark side of its history. 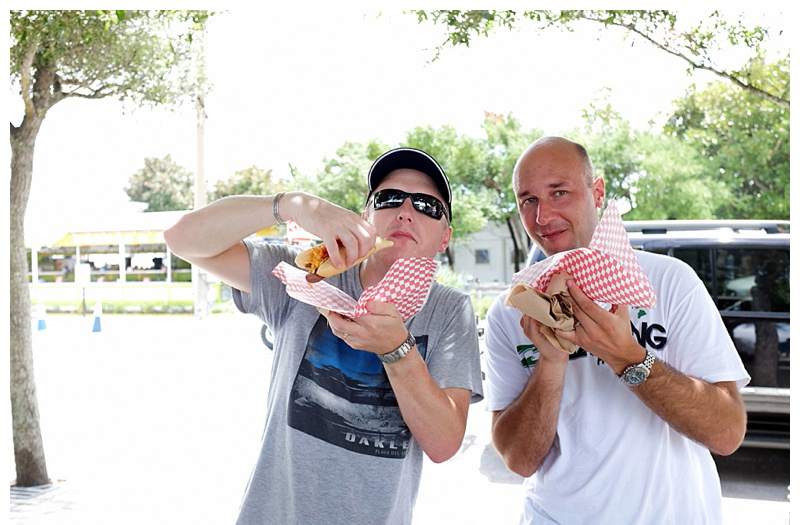 Two Germans, an Aussie and a Brit jumped in a van and headed for Florida. 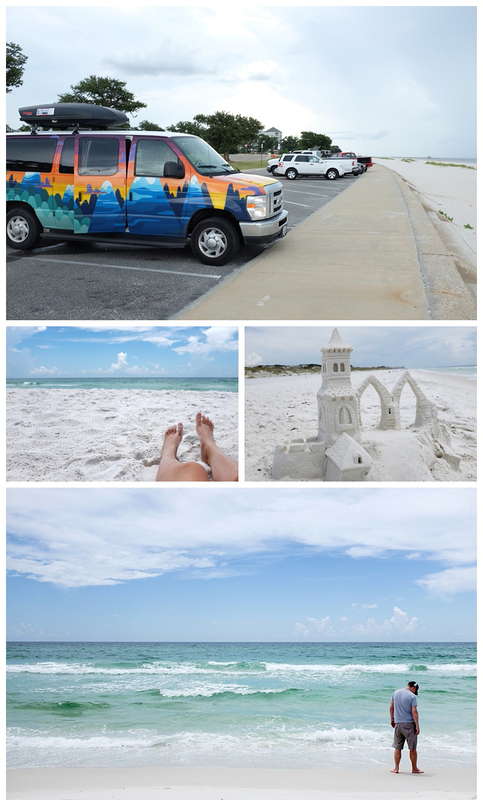 We travelled along the laid back Gulf coast, through southern Mississippi and Alabama, and into the Florida panhandle. The beaches were lovely, the sea warm and calm. (The region has just recovered from the huge BP Deepwater Horizon oil platform explosion and spill that occurred in 2010.) 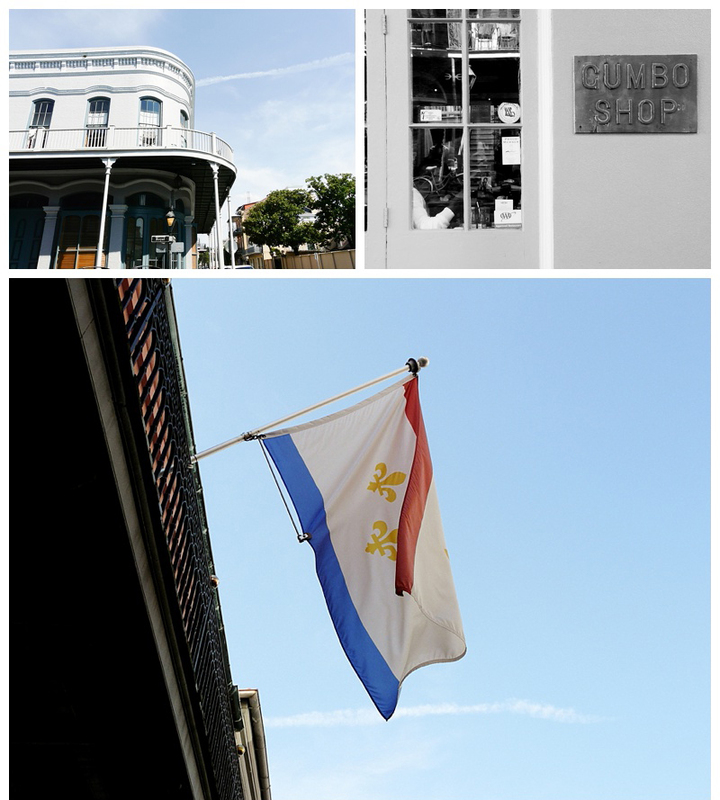 We drove through many interesting towns – Mobile Alabama was a particularly nice surprise as it has a reputation as being a dirty oil town and actually had lots of charm. Further along, some places were quite touristy with casinos etc, some quieter and more natural. We stayed one night in a particularly memorable Bed and Breakfast establishment. 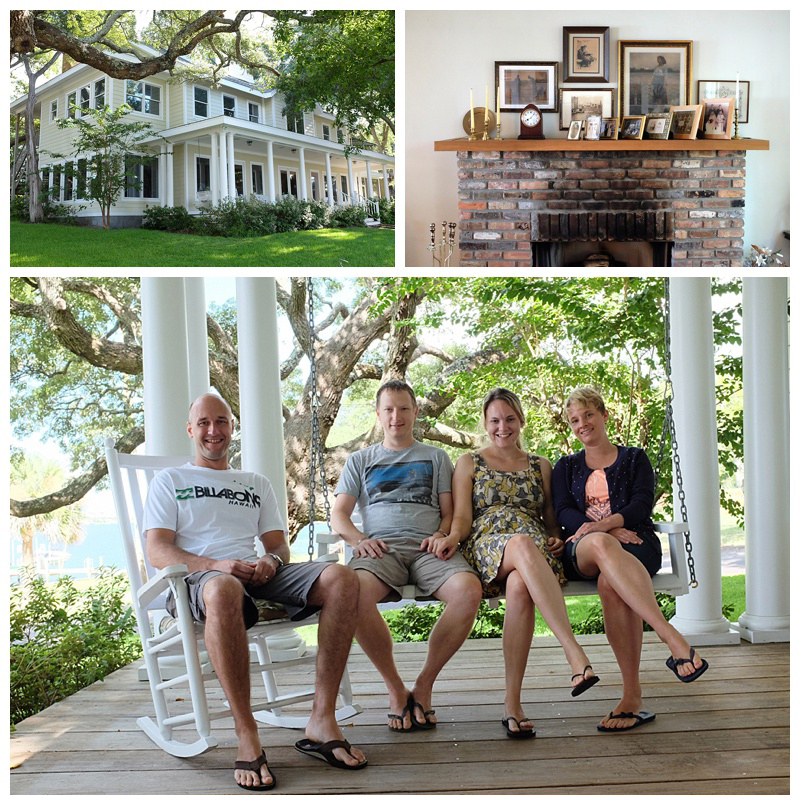 The house was beautiful, exquisitely decorated, and sat peacefully over looking the water. A veranda wrapped itself around the house, while inside were homely comfy couches, bookcases and chess sets. 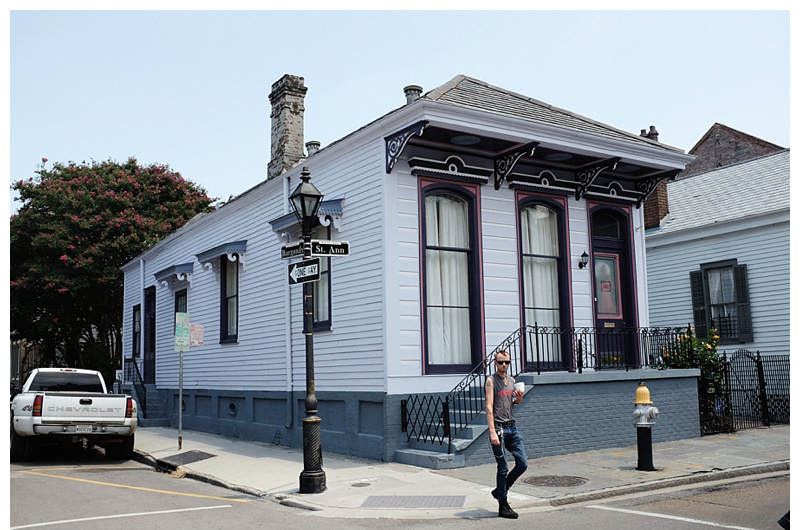 It was run by an ex-CIA agent, and the staircase had framed newspaper articles including one telling the story of when he accidentally burned down the house next door, and one celebrating the last public hanging, as witnessed by his father, in the town where he was from. We swiftly decided he was the real Mr Focker, Robert De Niro’s character from Meet The Parents. And his wife was genuinely called Martha. We half expected him to conduct a polygraph test over what was a substantial and very agreeable breakfast. 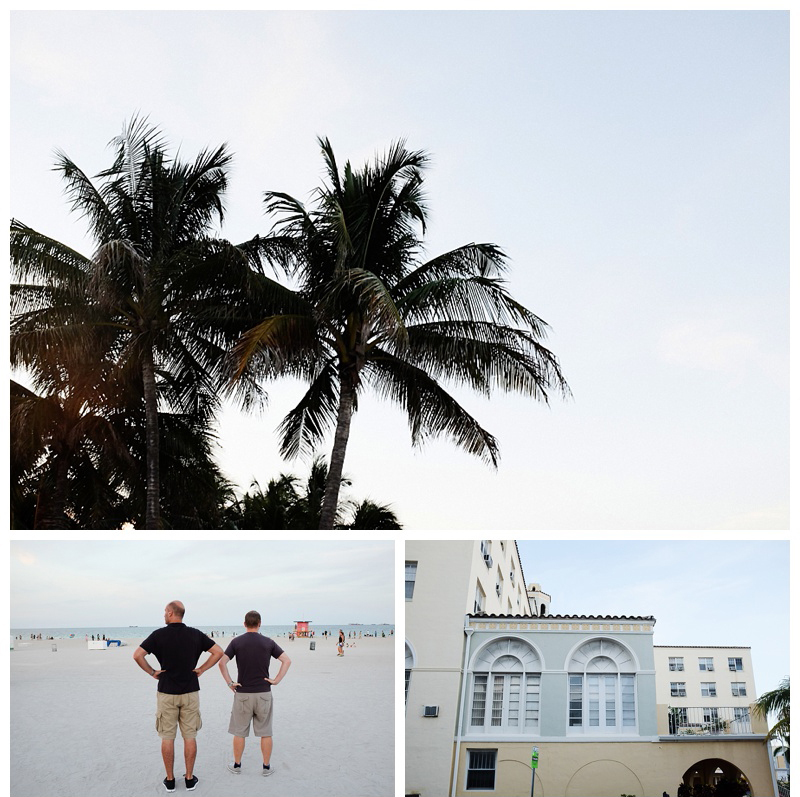 In Florida we stopped at the literally picture-perfect town of Seaside, a recent development designed and built from scratch as a flawless utopian settlement. It was where they filmed the movie The Trueman Show, which will give you an idea of its pure idyllic perfectness. 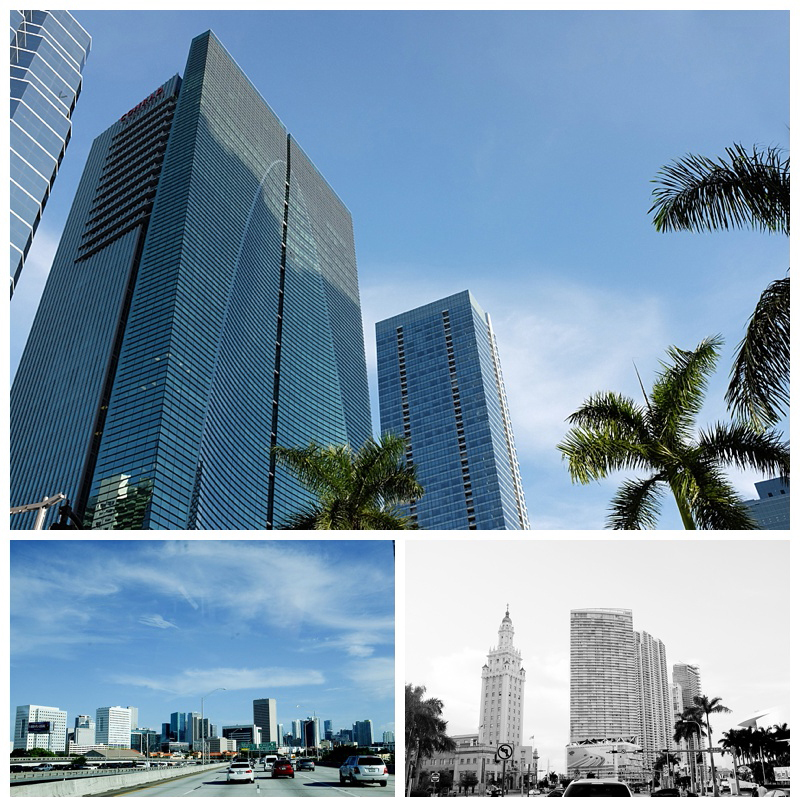 At last we reached the glistening towers of Miami and, just off the city and over Biscayne Bay, the sun-kissed sand of Miami Beach. They are two distinct places. 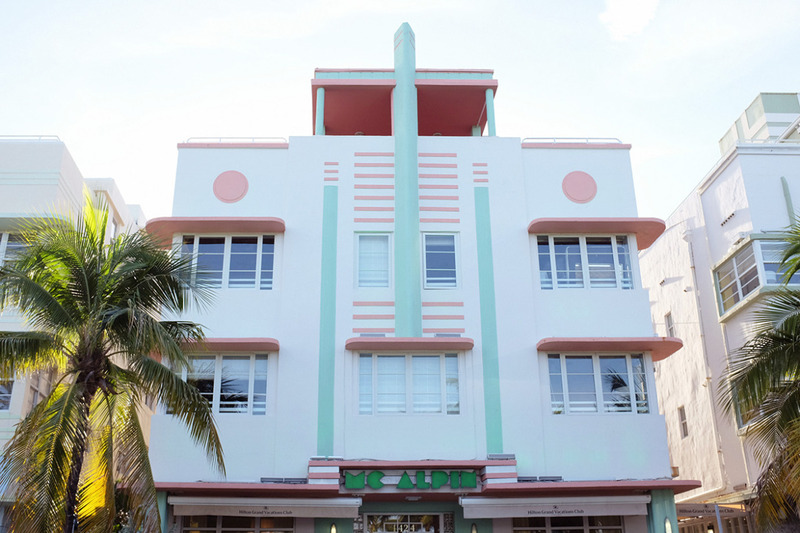 Miami beach is a chilled out art-deco paradise, with soft white sands lapped by a warm sea, and populated by beautiful bronzed locals and a healthy dose of tourists. Even in the evenings the weather was pretty sultry as we hit the bars and restaurants Lincoln Road. 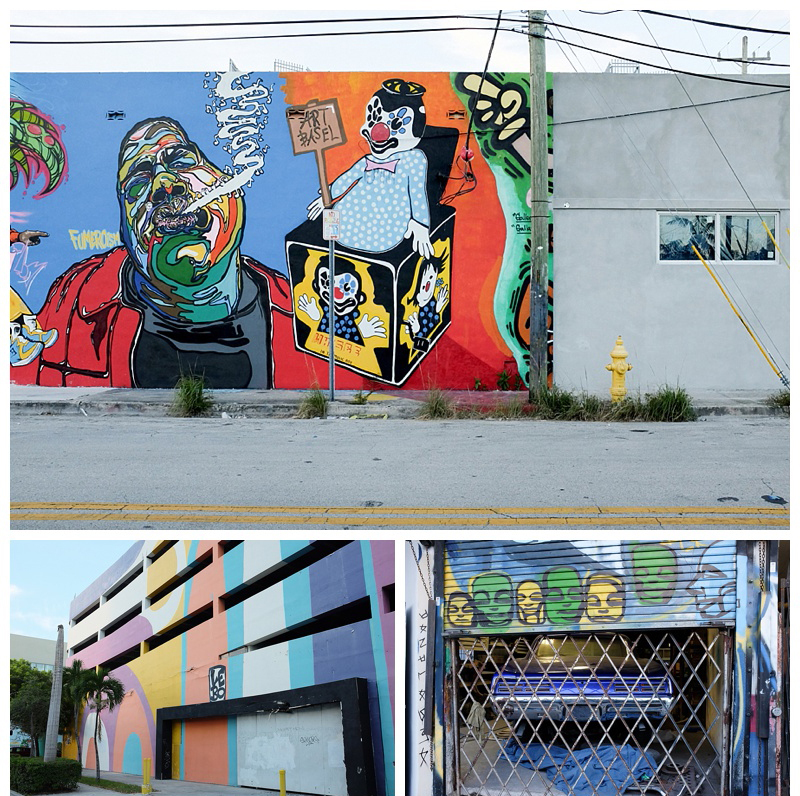 Miami itself is more varied. 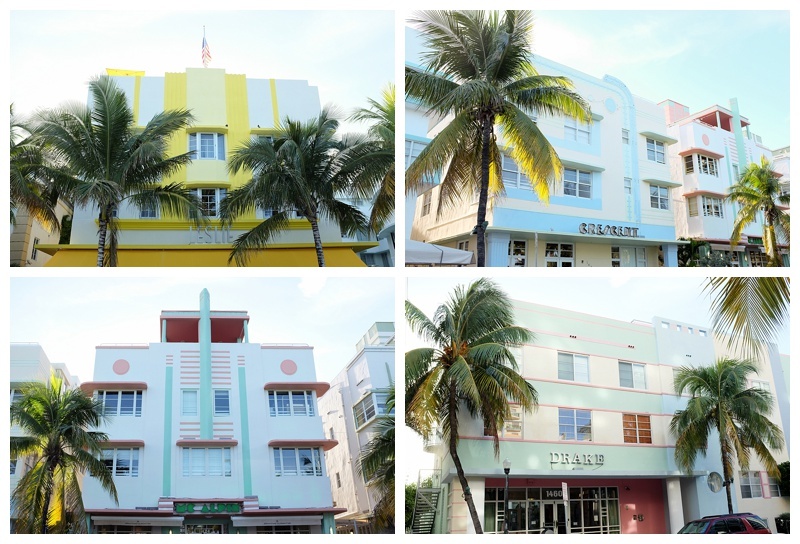 Gleaming white buildings over-look bobbing million-dollar yachts, but there are also the more characterful neighbourhoods of Little Havana (where you can find pro-Batista and pro-Bay of Pigs memorials) and Little Haiti. 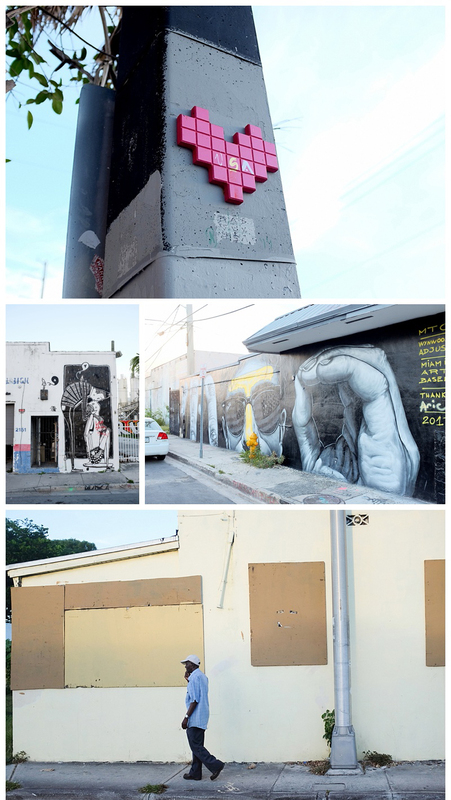 We explored an artsy district where almost every other building was home to a mural or artwork. We bade a teary goodbye to The Germans who had to fly home while we continued on the road up the east Florida coast. There was time, before heading out, to visit the Everglades, that huge area of alligator infested swampland covering the tip of Florida. 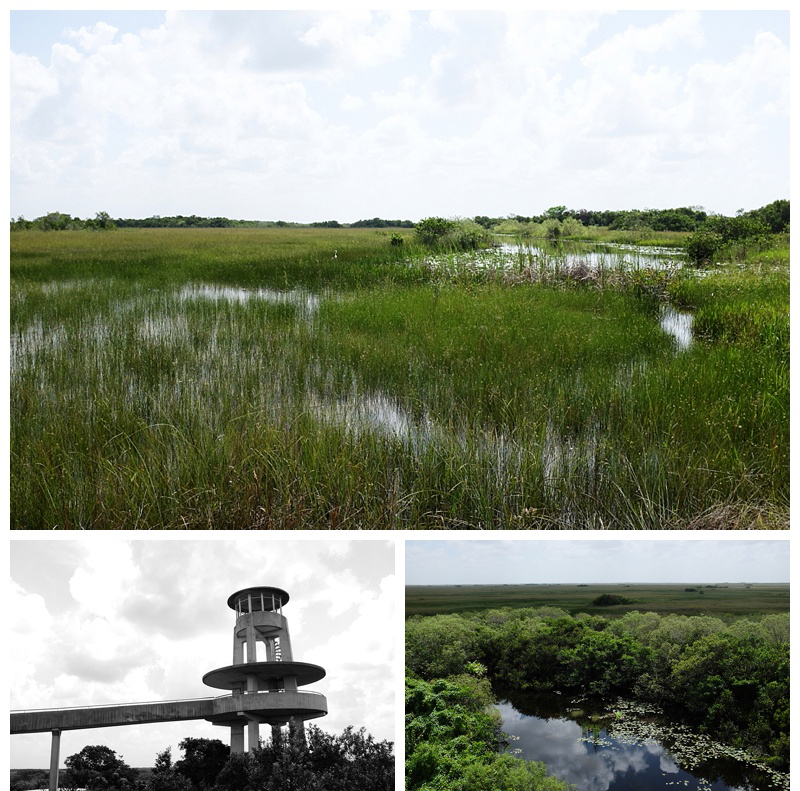 Modern development has actually drained a large part of the Everglades, but the government now does a good job at preserving a botanical paradise – albeit one pretty uncomfortable for humans! It was fun to spend a day croc hunting though, and to learn about the ever-changing fragile eco-system. Our journey up the coast took us through beach town after beach town. 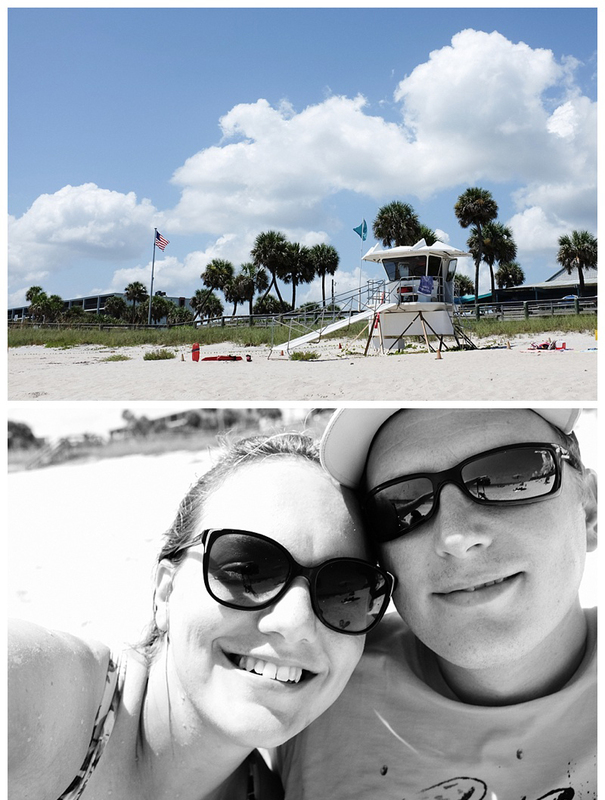 Some small and beautiful, like Vero Beach, our favourite place. Some more developed and commercial, but still very pleasant! The water was warm and clear, and the weather was hot. 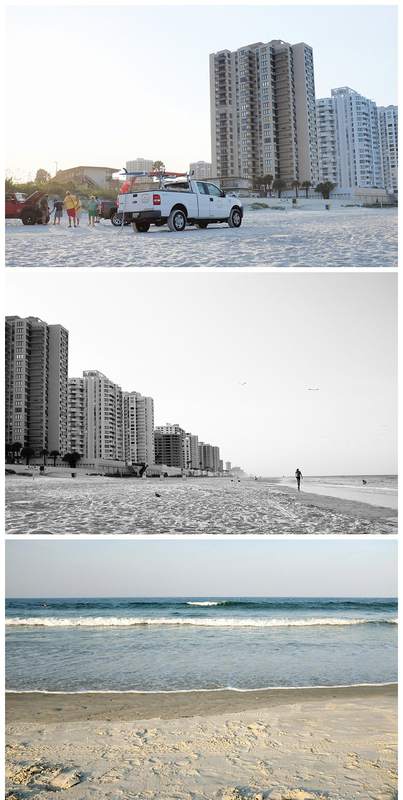 It was really nice to have some beach days, and there was a real holiday atmosphere all the way up the coast. 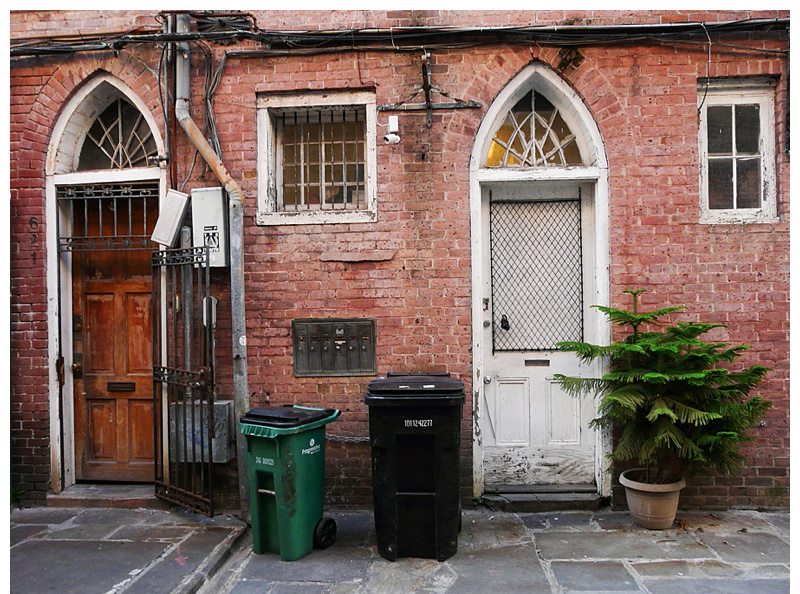 “New Orleans resembles Genoa or Marseilles, or Beirut or The Egyptian Alexandria more than it does New York, although all sea ports resemble one another more than they can resemble any place in the interior. 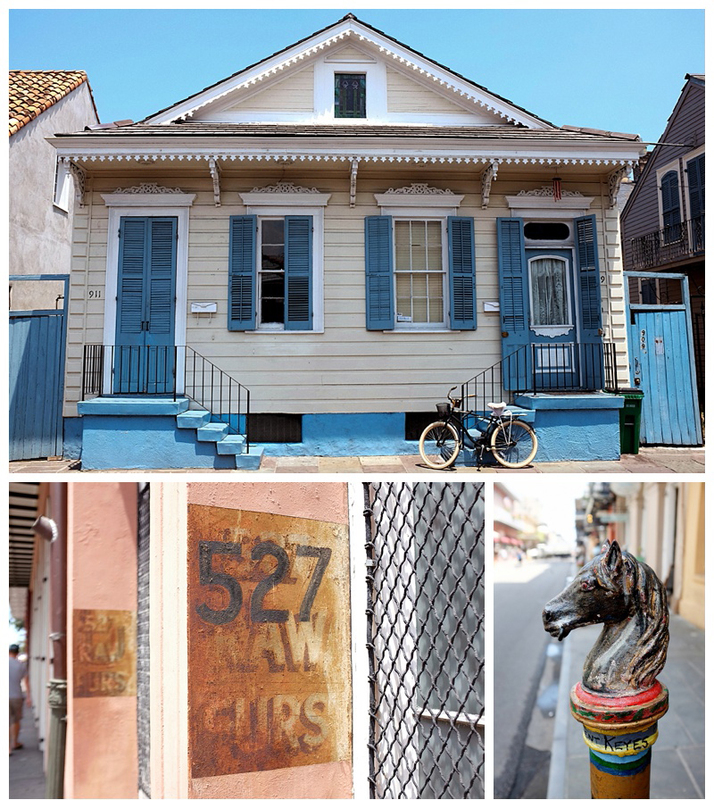 Like Havana and Port-au-Prince, New Orleans is within the orbit of a Hellenistic world that never touched the North Atlantic. 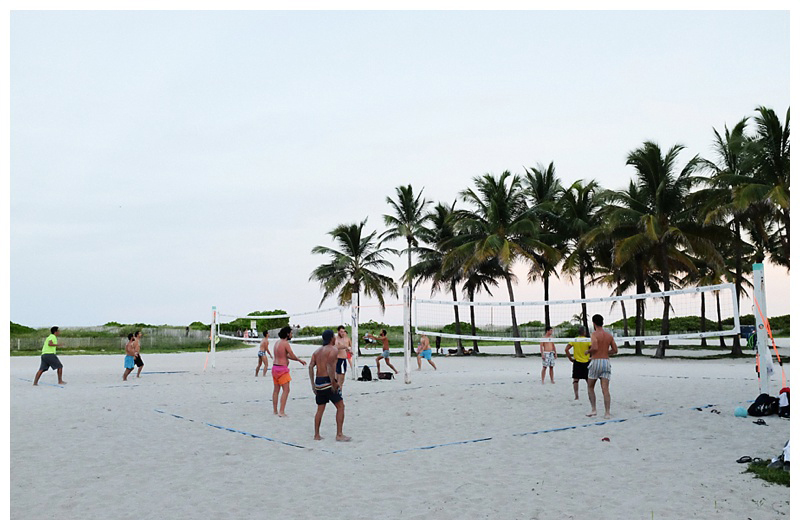 The Mediterranean, Caribbean, and Gulf of Mexico form a homogenous, though interrupted, sea. New York and Cherbourg and Bergen are in a separate thalassic system.” A. J. Liebling, from The Earl of Louisiana, 1960. Thanks for sharing guys!!!! It’s been cool getting a different insight of these places.